Thought at one time to be the result of a cross with Lilium martagon album, the yellow form of Lilium pumilum is now regarded as a species. 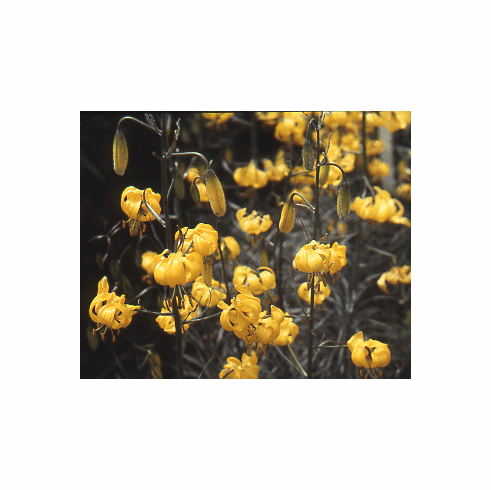 The small, fragrant flowers are bright, canary yellow and are generally unspotted. It is self fertile and as with its more familiar cousin, flowers in 18 months from germination. This is the lily of choice for our native Swallowtail Butterflies.